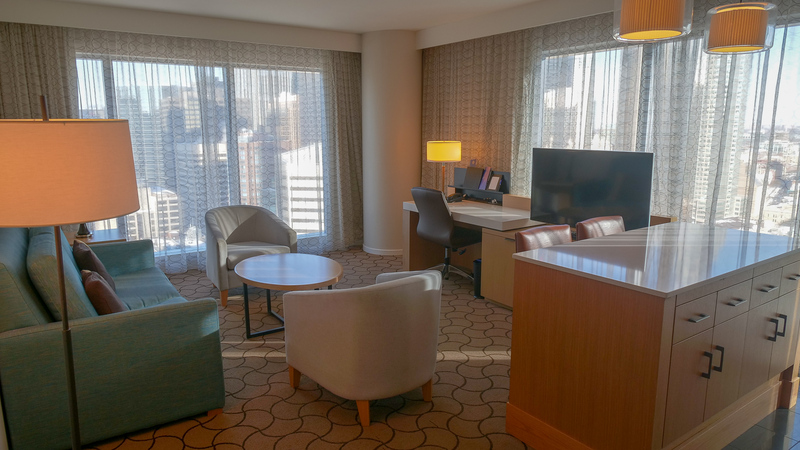 This article is a bit of an update to a previous review of the the Delta Toronto . The original stay was during a rainy but hot Fall day in a corner king room. 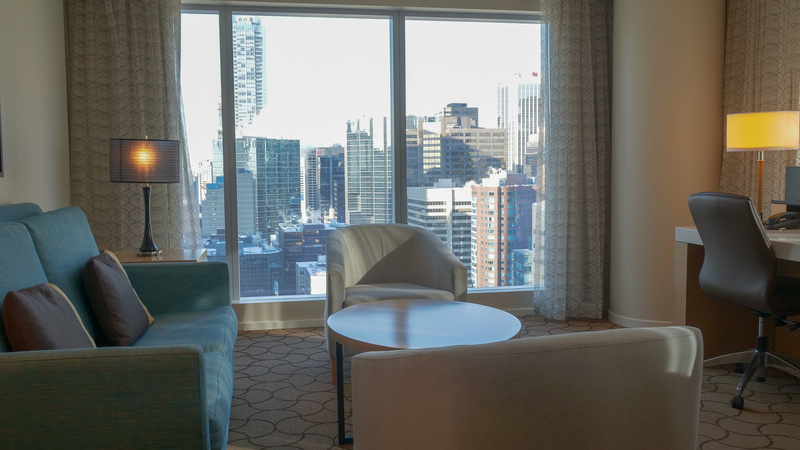 This time the room was a large and spacious 1 bedroom executive suite and it was during one of Toronto’s coldest winter temperatures in a generation. 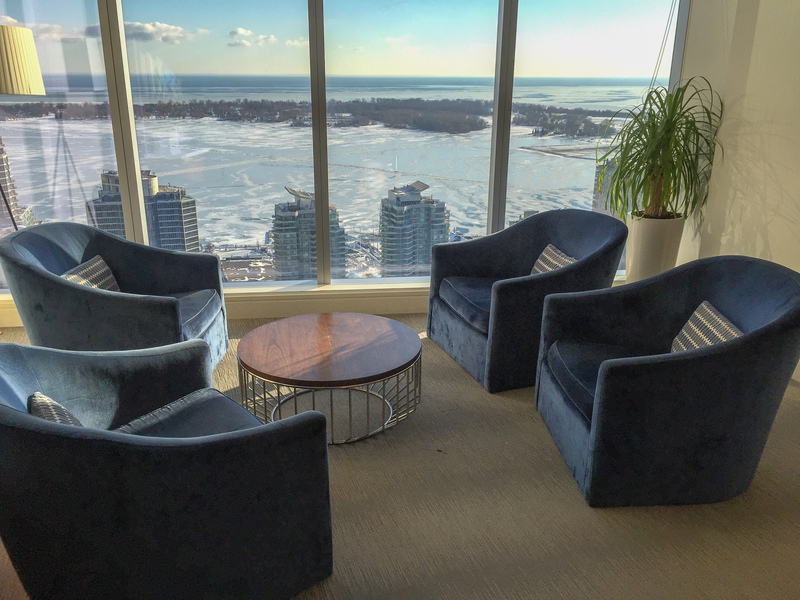 In spite of the cold outside the Delta Toronto provided a great place to work and play. Yes Toronto is in Canada but generally its winter isn’t nearly as harsh as most people think. During this stay the entire northern United States and most of Canada was gripped in the polar vortex and that meant bone chilling temperatures outside. Inside however was another story as the property was packed with tourists, business travellers, Maple Leafs fans (the Toronto team’s home arena is a short walk away) and others. The restaurants and bars onsite were hoping as were the many nearby pubs, fine dining and other restaurants and watering holes. The suite itself was perfect for a few days getaway during bad weather. The living room and kitchen was large with floor to ceiling views and the bedroom and bathroom was luxuriously laid out. 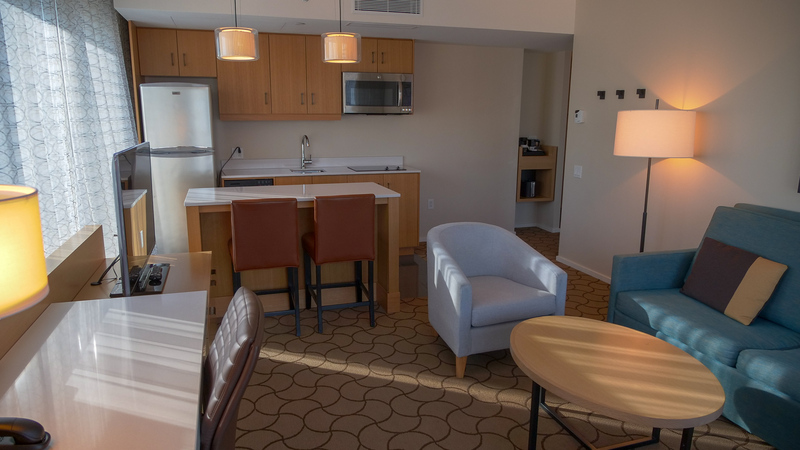 The suite had a well-stock kitchen and eating area along with a generous living room with a large screen TV and very generous desk, working area. it’s perfect for entertaining, chilling (no pun intended) or working. 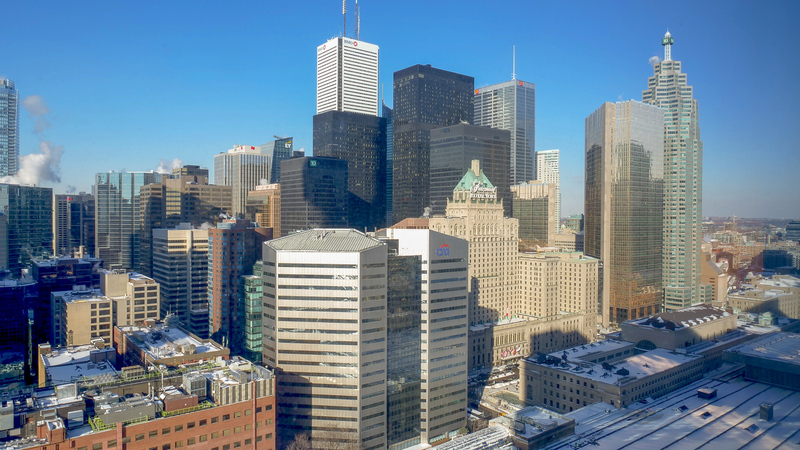 The views of Toronto’s skyline from both the living room and bedroom was impressive and despite the frigid conditions below, the suite was warm and cosy. 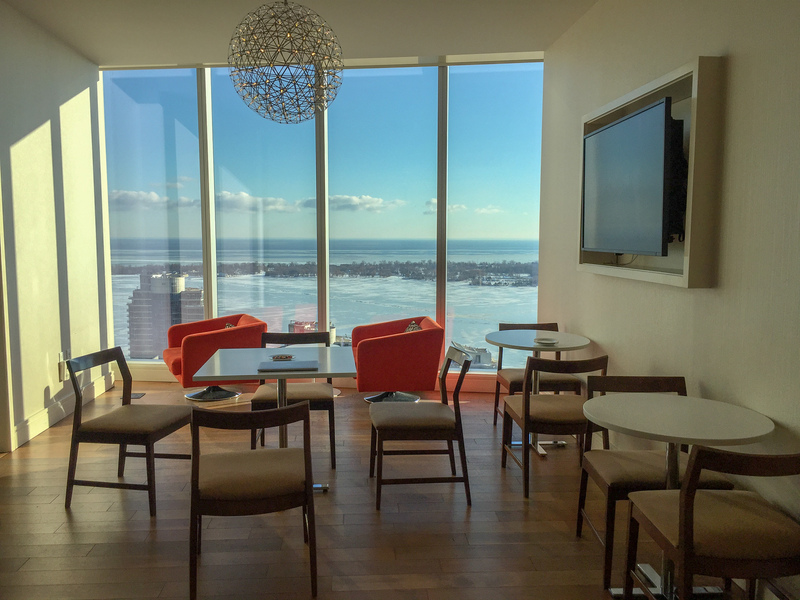 The Delta Toronto has a club lounge on the 46th floor offering breakfast from 7:00 am to 10:00 am during the weekdays and until 11:00 am on weekends, all day tea, coffee, soft drinks and light snacks and evening snacks and an honorific bar from 5:30 to 7:30 pm. The lounge remains open until 10:00 pm. Of course the views of Lake Ontario and the Waterfront area was great. The lounge isn’t very large but easily handled the Marriott Elite crowd and offered decent, if not excellent food. 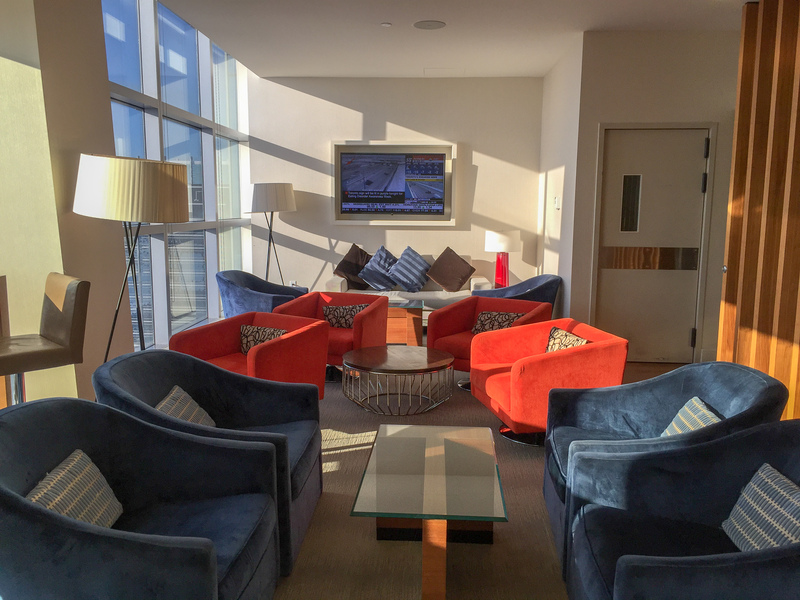 Generally North American lounges suffer compared to their Asian counterparts, but this one is definitely strong compared to others in the US and Canada. We like this property. It is well run, well located and well appointed. The Delta Toronto does a good job of being an urban oasis even in the dead of a historic freeze. And we like Toronto. It’s a great city with lots to do, lots to see and lots of life. It is usually recognized as one of the top 5 most livable cities in the world and the UN calls it the most multicultural. This means there’s lots of great food, cultural experiences and its safe. 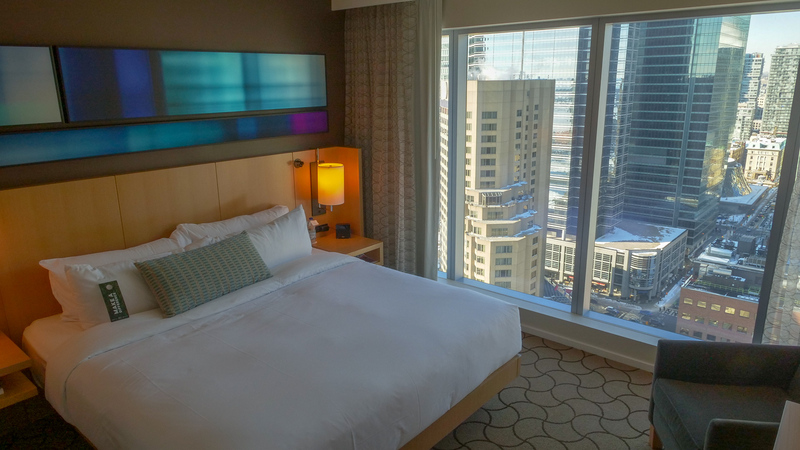 In the winter its still vibrant, during a deep freeze, it’s nice to have a hotel like the Delta Toronto to hang out in and relax until the weather warmed up.